Educational Fun for Students and other Groups! Aboard Lobster Tales, students will have a rare opportunity to experience a hands-on activity hauling lobster traps from Plymouth Harbor, MA. 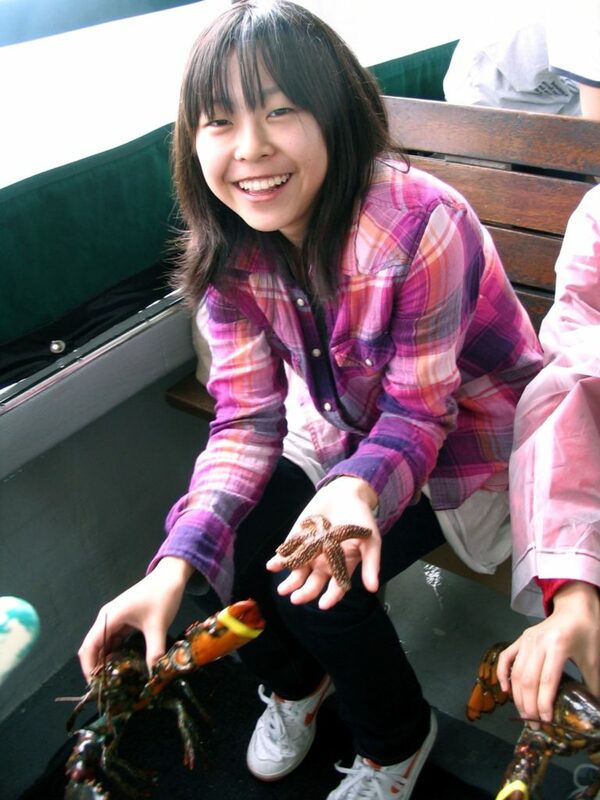 Students will learn about the daily life of a New England lobster fisherman. The focus will be on lobster biology, lobster trap mechanics, comparing different species of crabs and discovering other sea creatures that live in the harbor. Students will be encouraged to closely examine the catch. They will learn that interacting and asking questions are both fun and educational. Taking students outside the classroom and immersing them in the outdoors will give them a better understanding and appreciation of their ocean environment. Educational material will be specific to the age level of the group, ranging from preschool to high school. – Do you know why some lobsters are blue? – Do you know how to tell the age of a lobster? – Do you know the number of eggs a lobster produces? Cost: $14.00 per person – 50 passengers maximum ($420.00 minimum covers 30 people or less). Cost: $16.00 per person – 50 passengers maximum ($480.00 minimum covers 30 people or less). Please call us today for more information to book your charter at 508-746-5342 or buy a Public Cruise ticket today!